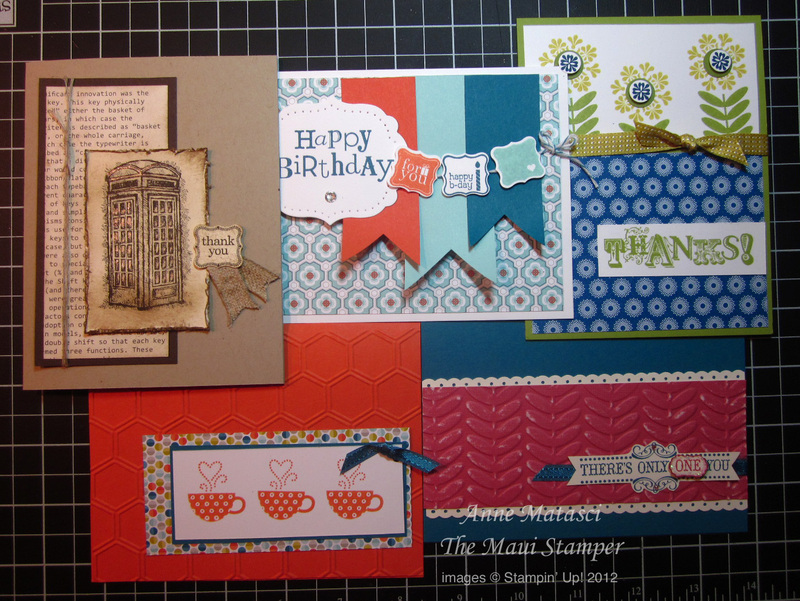 I’m reviving my famous – or infamous – 2-5-10 card class this weekend. 2 hours, 5 cards, $10. I’m previewing some of the Sale-a-bration products that will be available later this month, so you can be among the first of your friends to get your hands on these goodies! These are much prettier in person, I guarantee it 🙂 All you need to bring is yourself and an all-purpose adhesive like Tombo or SNAIL. I’ll provide everything else including specialty adhesives and envelopes. RSVP by email to AnneMatasci (at) gmail (dot) com or by commenting on this post. Be sure and let me know how to reach you if you’re new to my classes. Hope to see you on Saturday, and don’t forget the RemARKable Blog Tour on Sunday!